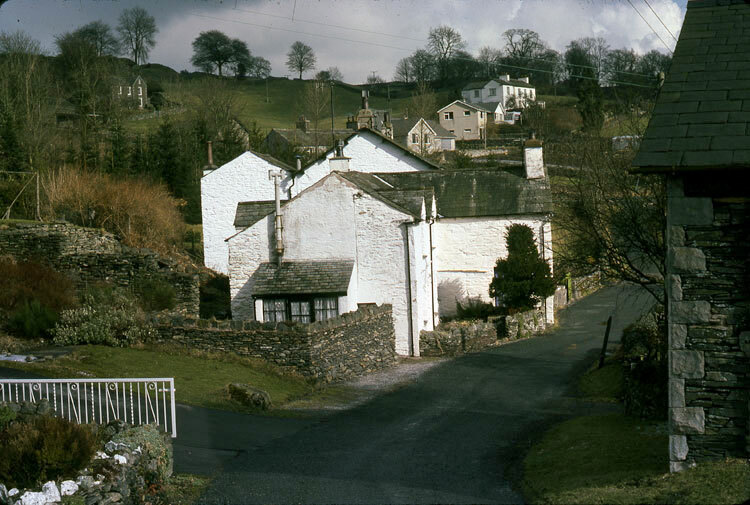 There are many hundreds of references to the woollen industry in both the Cumbria County Council and National Park historic environment records. This is not a comprehensive list of woollen mills – even within towns – just a selection of those about which we have most information. These notes are taken from the various references given, and from the un-published papers of Mike Davies-Shiel held by Cumbria Archives. 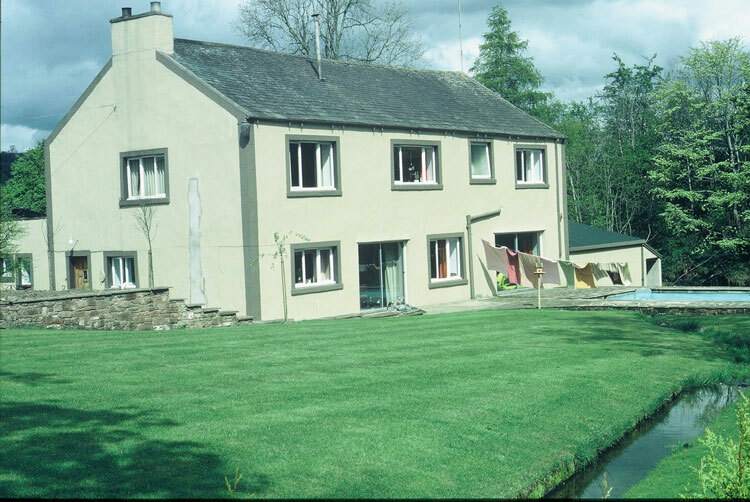 Click here for a general introduction to the wool industry in Cumbria. Alston. Built beside the River Nent – 31ft long and 32ft wide – powered by a large water wheel 4.5ft wide and 50ft diameter. First advertised for rent in June 1802 as “fit for spinning cotton and flax” but produced mainly worsteds and – for a few years – carpets until closure in the 1880s. Ambleside. 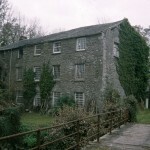 Fulling mill dating from the late Middle Ages converted into a large 3-storey woollen mill in 1795. Run by the Cooper family and latterly the Partridges. 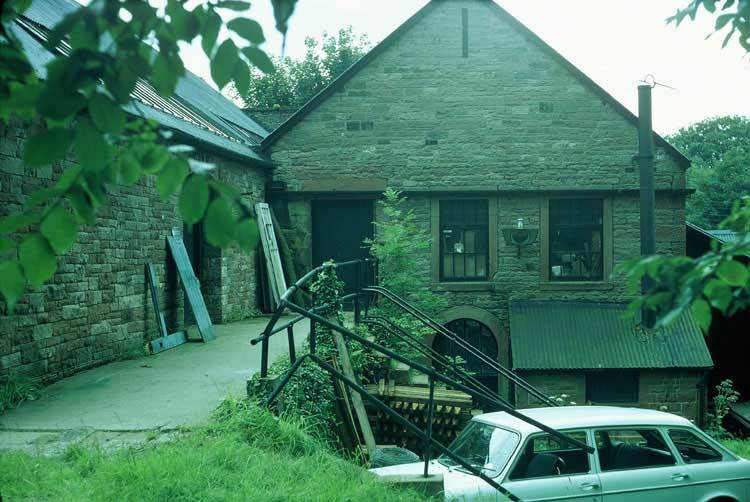 Converted to a saw mill in the 1830s and more recently to a restaurant. 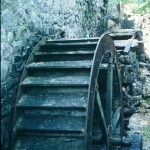 The waterwheel was rebuilt in 1999. Beckfoot, south of Silloth. 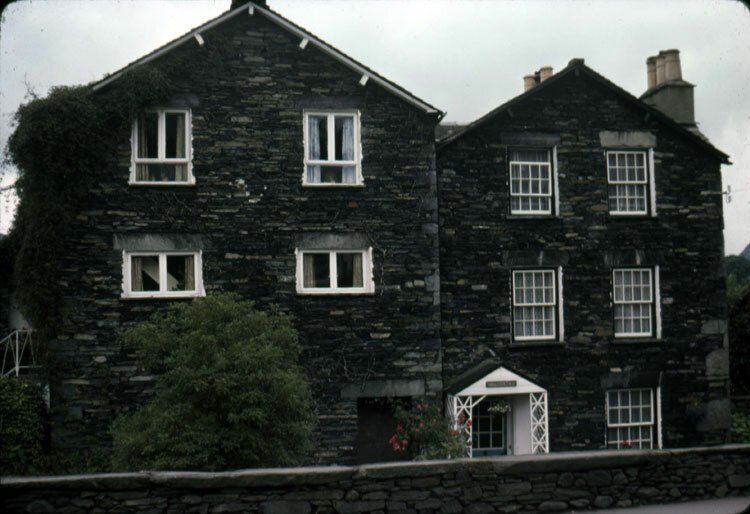 3 storey woollen mill built around 1795 by John Saul. Two carding engines, one teaser, two jacks, one jenny, one warping mill, four common woollen loom and one broad woollen loom. Water-powered – 12ft by 2ft wheel; also horizontal 16ft diameter horse-powered wheel to drive the carding engine. 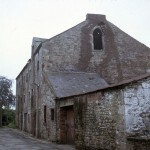 For sale 1803 – later corn mill and chapel before demolition. 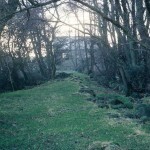 Boot – Gill Bank. Carding mill of around 1810 on Whillan Beck. 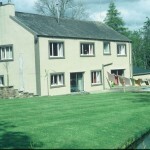 Caldbeck Water-powered mill of three floors and a garret built early 1800s. Advertisement in the Carlisle Journal of 1 June 1822 announces that “Messrs Graves and Scott have improved their machinery and can manufacture carpets, blankets, sagatha, duffles, plaidings and stocking yarns, and all different kinds of coarse woollen goods ,,,”. 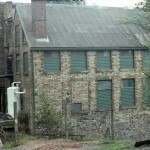 Later known as Ivinson’s mill. 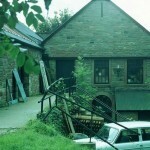 Fulling mill and dye house on site. Wool bought from “neighbouring farmers, from wool staplers at Bradford, and from Atkinsons, Carlisle tanners”. Undyed cloth for suits and overcoats; blankets etc.. “Large quantities of wool came only to be carded for the owners to spin at home on hand spinning wheels”. 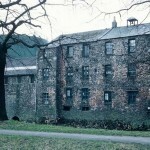 Carlisle – Raven Nook Mill. Built 1850 on the River Petteril, steam powered and lit by gas from own works. The opening speech remarked that “they had long enjoyed the advantages of cotton manufacture, and it was hoped that this was the beginning of a similar course of prosperity for the County of Cumberland in the matter of Woollen Manufacture”, although another speaker reminded them that this was “but a re-establishment of this branch of industry here, for it had been introduced about 100 years ago..”. 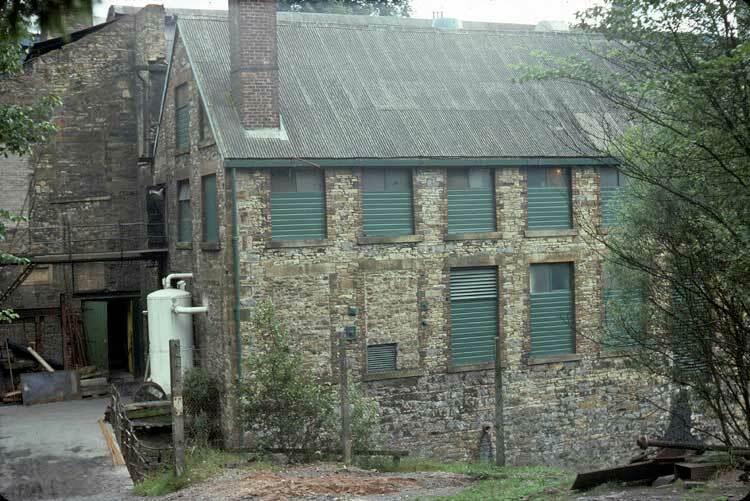 The mill housed the “various operations of sorting, teasing, carding, spinning, weaving, dyeing etc.” with a separate fulling house. Cockermouth. 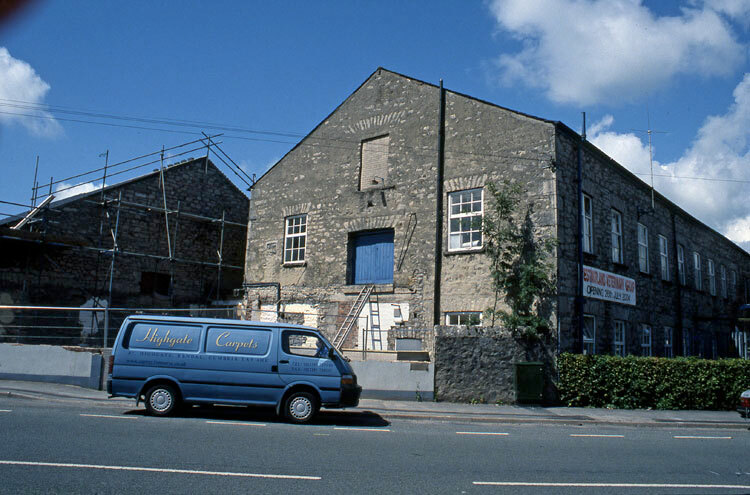 Graves’s Woollen Mill (pictured) and Wharton’s Woollen Mill on the north side of Waterloo Street both date from the 1820s. 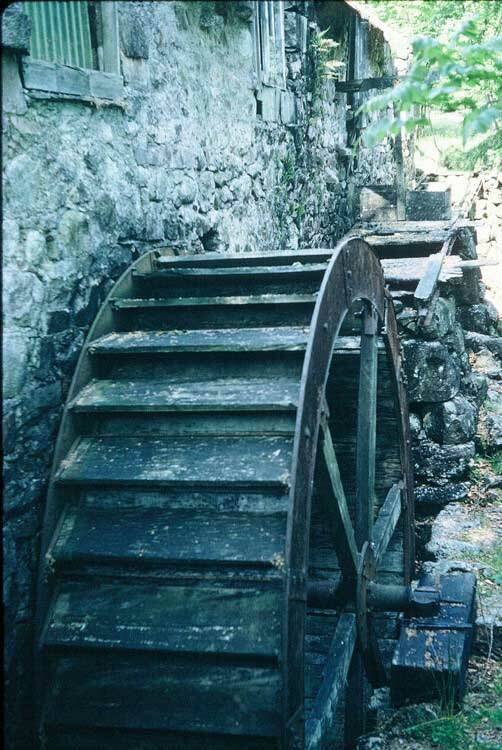 They were powered by waterwheels located in a mill race, partially culverted, which ran along the bank of the River Derwent. 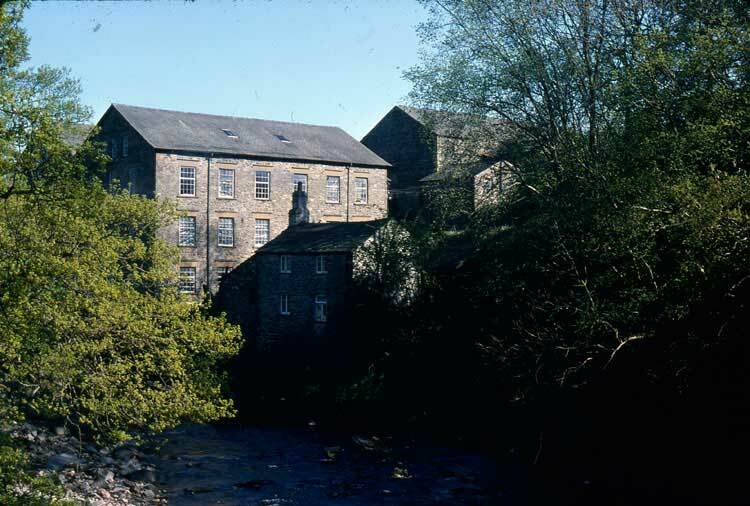 Croft Mill (mid 19th century) and Cocker Bridge (End) Mill (pre 1819) alongside the River Cocker were both constructed as woollen mills, as was the short-lived Sanderson’s Woollen Mill on the east bank. Crook. Flax mill converted to wool, then bobbins. For sale 1858 with the following particulars:- Ground floor warping and reeling room, 36ft by 17ft; First floor spinning room, 36ft by 25.5ft; Second floor carding room, 36ft by 25.5ft. Also a preparing room, 34ft by 20ft; a Mule room, 34ft by 20ft; a Teasing room, 34ft by 15ft; four sundry rooms plus washhouse and sorting rooms. 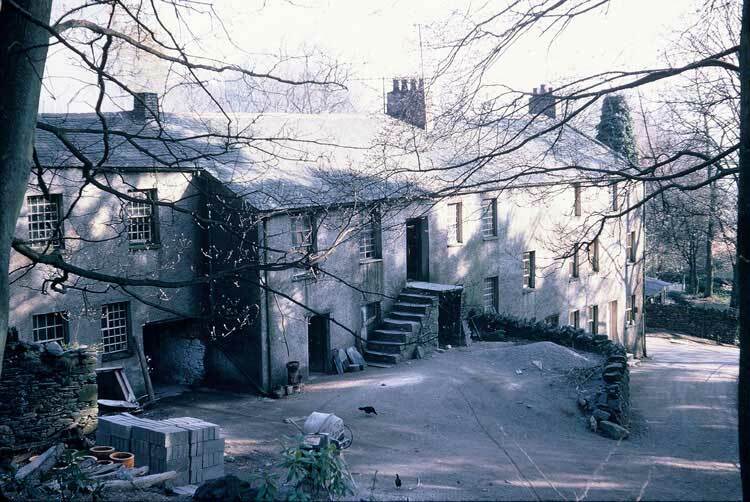 In addition were a manager’s house and three cottages; engine house and chimney with a 12 horse power boiler and 8 horse power engine; plus two reservoirs. Advert in the Mike Davies-Shiel collection. 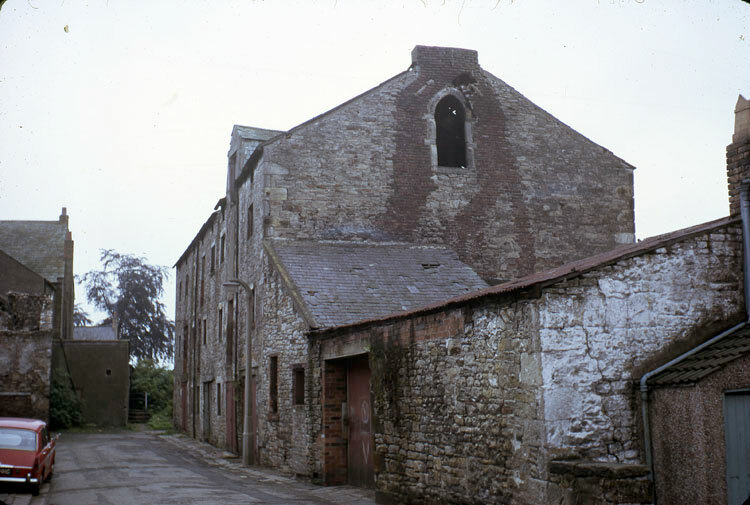 Hallthwaites near Millom. 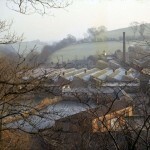 Carding mill, weaving shed, dye house and fulling mill served by a mill race and pond off Black Beck with tenter ground. Archaeological investigation in 2009 of the dye house noted “four sunken features … thought to have held hearths and dye vats” and gave the dates of “approximately 1829 to 1925” for its operation. 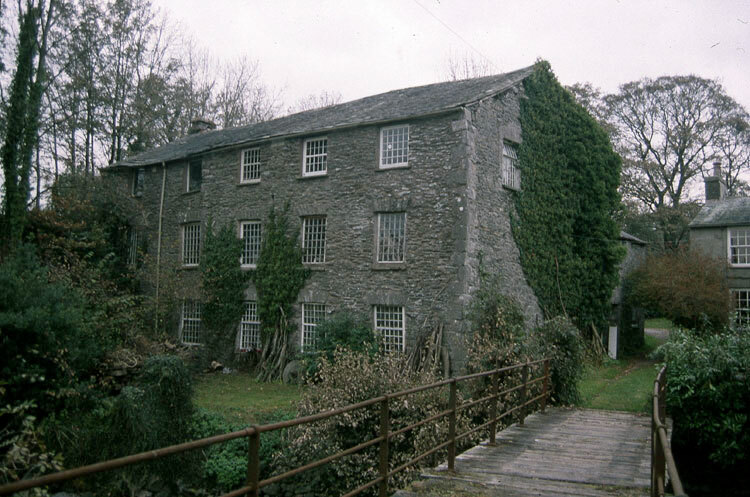 Machinery in the carding mill of 1837 said to be “the first successful application of the carding machine to the woollen industry”. Mainly blankets. By the end of production in 1935 the carding mill housed an 80-bobbin mule spinner for all rug and carpet yarns and a 100-bobbin mule spinner for all blanket yarns. There were a total of 12 looms on site – in the weaving shed, over the dye house and elsewhere – comprising 2 blanket looms, 1 10ft blanket loom, 1 fancy rug loom, 1 48” rag carpet loom, 1 stair carpet loom, 1 jacquard loom, 1 linsey-woolsey loom, 2 rug looms, 1 happins loom and 1 other. 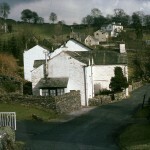 Kendal. 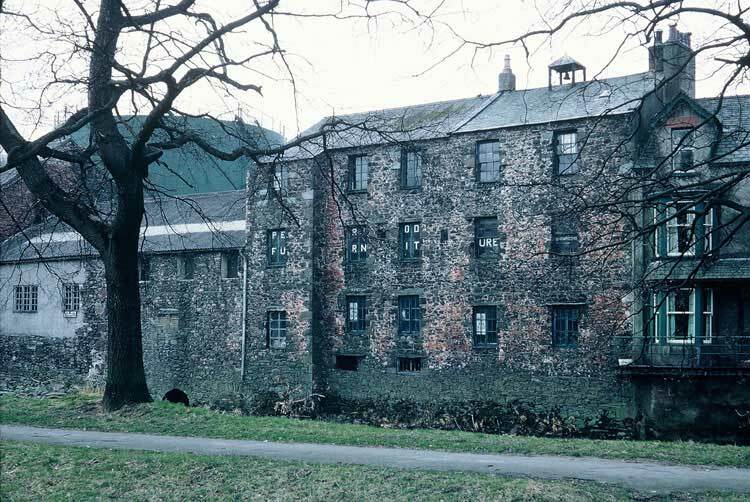 Dockwray Hall Mills – said to have originated in the medieval period – used for dyewood and woollens in the 1700s, making linseys in 1794. 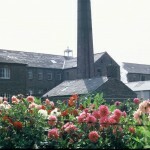 In 1809 the site – 4 separate mills for 4 separate purposes – was put up for sale. The advert lists “1 mill for rasping and chipping dying woods; 2 fulling mills with carding room and wool room” (above); and a friezing mill. Bought and rebuilt by the Gandys after being destroyed by fire in 1824 – “the largest manufacturing building ever erected in the county”. Successors manufacturing carpets from 1850. (Also at The Factory by The Green ). Demolished from 1940 – some buildings remain. Associated carpet factory at the junction of Stricklandgate and Strickland Place. 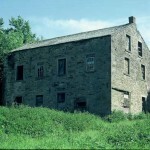 Southey Hill Mill – medieval fulling mill converted to a large woollen manufactory about 1740. Sale notice Kendal Mercury 23 April 1853, then pencils. Kirkoswold. “A well built and conveniently arranged mill for carding and spinning woolen yarn” is advertised for sale in the Carlisle Journal of 30 June 1821, along with “the valuable woollen machinery used in the mill comprising one tease, one large cylinder, one carding engine with three large cylinders, two spring jacks with forty spindles each”. 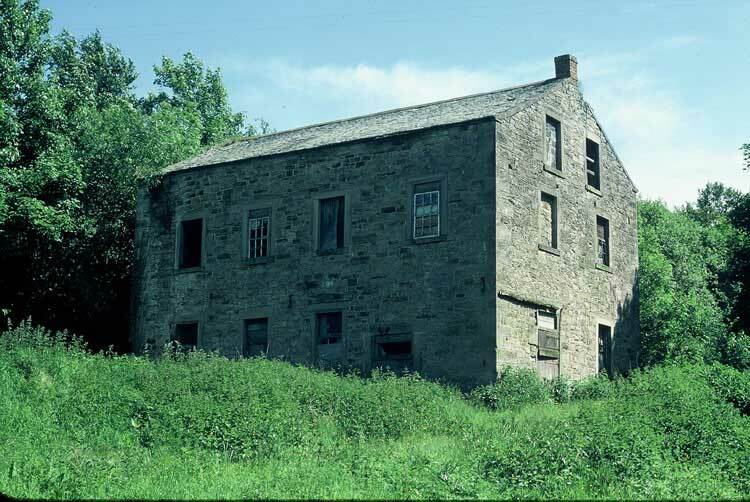 Advertised to be let by the same owner in September 1823 is “an old established dye house completely fitted up with boilers, wad vats, and every other requisite; an inexhaustible supply of fine water; a press house with hot press etc., and a fulling mill, both of modern construction”. 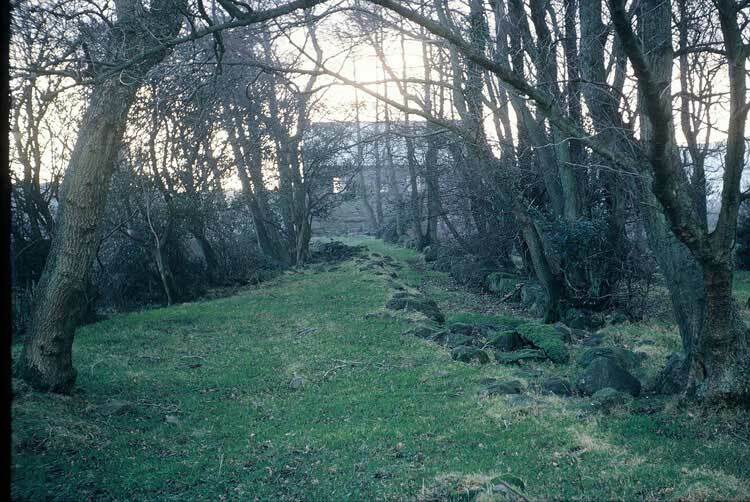 Listed by Geoff Oxley in the Cumbria Industrial History Society’s Bulletin of August 2005 and April 2006. 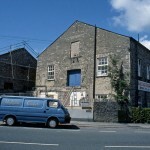 Mealbank north of Kendal. 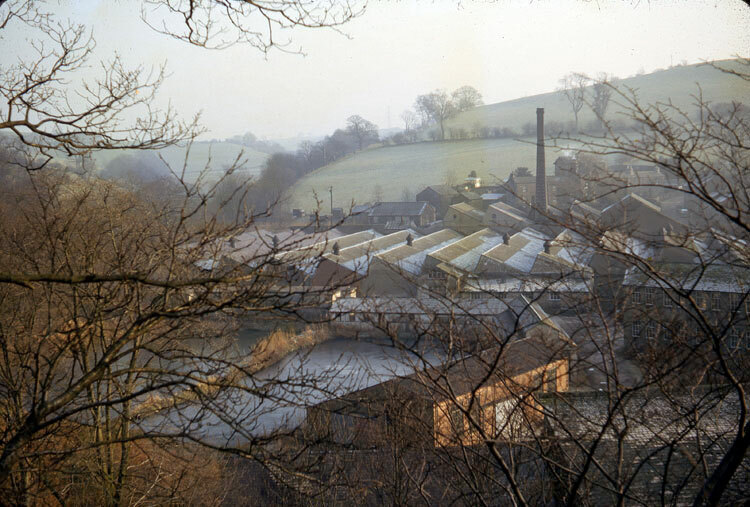 Developed by the family firm of Braithwaite after 1834, the general site having been used for woollen, snuff and corn mills some time before 1767. 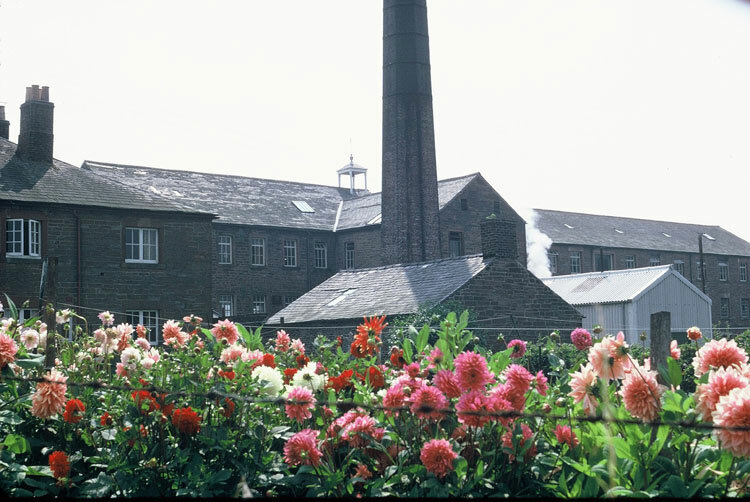 More than 350 people employed here in the late 19th century in a fully integrated mill with machinery for preparation, spinning and weaving. Millbeck north of Keswick. Sale notice of June 1855 for “all those carding mills, with ware and wool rooms, weaving shops, fulling mill and tenter ground, with 13 cottage houses”. Lot 1 was the old carding mill, 28ft by 52ft, 3 storeys high, driven by a cast iron water wheel, 19ft diameter, 3.5ft width. 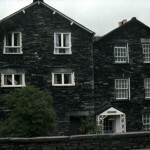 The mill contained “two carding engines, one scribbler, one cockspur teaser, three spinning billies and two warping mills” and “three ware and two wool rooms, with two weaving shops containing twelve broad looms and eight narrow looms, with press house adjoining”. Lot 2 was the new carding mill, 36ft by 48ft, 2 storeys high, containing “two carding engines, one teaser, and two 76-spindle billies”. Lot 3 was the fulling mill, 24ft by 45ft, having “a new cast iron water wheel, 22ft in diameter and 3.5ft width with two milling stocks, one raise mill, and a brushing mill, with brimstone stove and wet house”. Un-published notes by Mike Davies-Shiel. 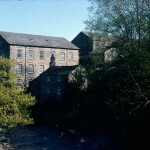 Farfield Mill 1837 (pictured). New buildings added for washing, carding and spinning with weaving much later. By end of 19th century these included a warehouse, a weaving shed, a dye house and a tentering house for drying and shaping the cloth. Vortex turbine replaced water wheel in main building in 1896. Rebuilt after 1909 fire with further bays to west side. Boiler house and steam engine added c.1911. Noted for horse blankets. Also supplied yarn to hand knitters in the local area. Sold by Dover family in 1930s – various uses until 1965 when Braithwaites transferred 30 looms and other machinery from Mealbank. Continued under different owners until 1995. Restored and re-opened as an arts and heritage centre, including two Dobcross looms. Warwick Bridge. The original 3 storey building had a 4 storey extension. Date stone bears the years 1790, 1840 and 1890. Built for cotton, wool from 1888. 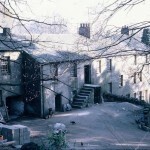 Name changed from Langthwaite Mill to Otterburn Mill. Weaving sheds added in 1925. Survived to 1970s.